--Rigoberta Mench'u Tum, winner of the 1992 Nobel Peace Prize. Although the Maya people we associate with the ancient ruins or the interpretation in the film "Apocalypto" may not exist as they have been portrayed, the people themselves are far from gone. To say that the Maya civilization disappeared is not only an inaccuracy, but a great disservice to more than 6 million Maya living today in Guatemala, Mexico and Belize. While the city-states of the Classic period lowlands may have been abandoned in the tenth century, the Maya people did not disappear any more than the Italians when the Roman Empire fell. Throughout hundreds of years of outside efforts to oppress and assimilate, the Maya people have continued to hold on to their unique way of life. Do understand that many of the old ways dissapear as a new technology or modern influence is introduced or forced upon them, as an old way is replaced with the new just as in any meliting pot city where the people have totally lost their roots. The sad part is that the old ways are being lost forever to "snake oil salesmen" and governments that force new ways upon the old. 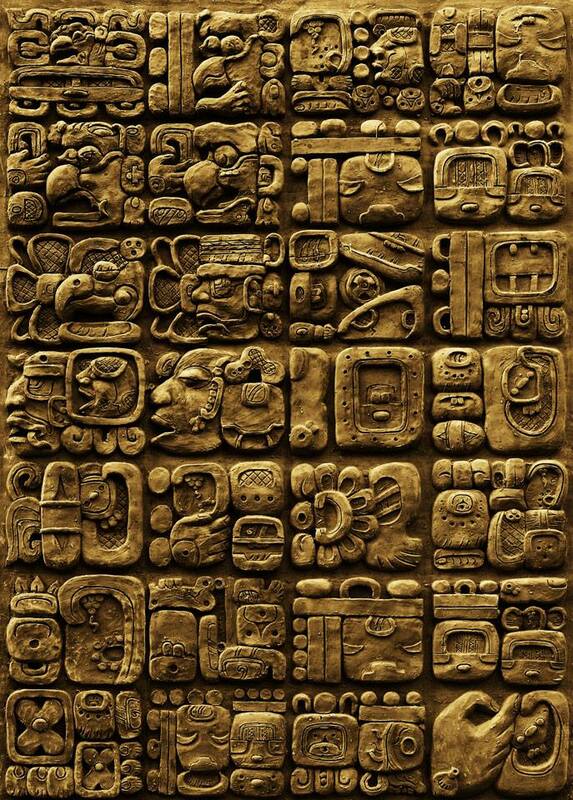 Modern Maya religion is a colorful hybrid of Catholicism and ancient Maya beliefs and rituals. Their ancient gods have been replaced with statues of santos (and secret Maximns) but the stories of these saints only remotely resemble those of their European counterparts. Today, devout Maya worship at mountain and cave shrines, making offerings of chickens, candles and incense with a ritual alcoholic drink. Shaman/daykeepers keep count of the 260 day ritual calendar and provide healing by identifying curses and offended ancestors, counting seeds and crystals in their divinations, and performing curando rituals. 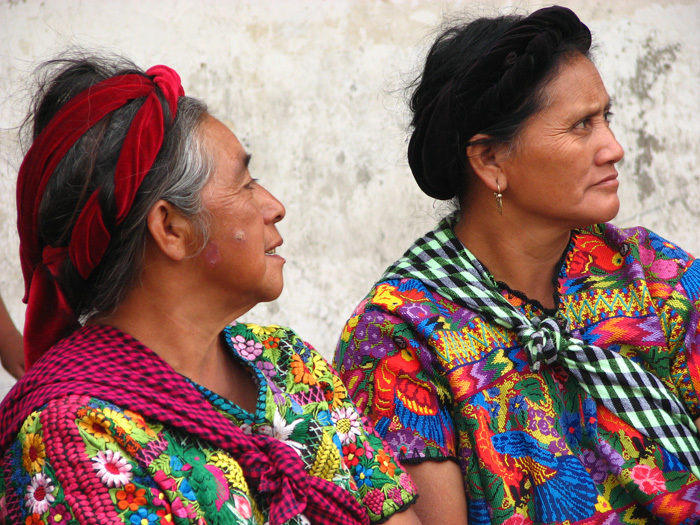 You can identify the community to which a Maya individual belongs by their dress. The women wear loose hand-woven or embroidered huipiles (blouses) with distinctive patterns and colors for each community. Few men in the Guatemala highlands wear the traditional traje as it could be dangerous to call attention to themselves as Maya. During the 1980's the Kekchi Maya of Guatemala found themselves in the middle of a conflict between leftist guerrillas and the government. 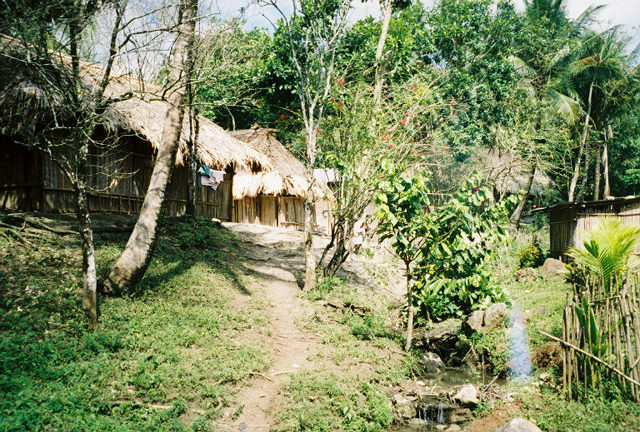 The ladino guerrillas, based in the surrounding forests, demanded food and shelter from the Maya. In retribution, Guatemalan death squads killed 150,000 people and disappeared another 40,000. Tens of thousands of refugees fled to Mexico and the United States while those who remained were moved into "model" villages where all men were required to enlist in civil patrols. To better understand this conflict go to the United States foreign policy story.